In this week's issue of our environment newsletter, we look at the growing trend of celebrities promoting an eco-friendly vegan diet, as well as the pros and cons of carbon offsets. What are the virtues of carbon offsets? Whether it's out of a sincerely held belief or a profit motive, celebrities endorse products or lifestyle choices all the time. But concern about climate change has moved certain famous folks to appeal to our shared humanity. If he agrees, the campaign will offer $1 million US to a charity of the Pope's choice. And it stands to reason that the Pope's participation might also inspire Catholics to reconsider their own eating habits. Whether or not the Pope takes the bait, the Million Dollar Vegan stunt will undoubtedly shine more light on the issue of meat production. According to the Food and Agriculture Organization of the United Nations, farming livestock accounts for about 18 per cent of global carbon emissions. People are unlikely to stop eating animal proteins. But eating fewer of them, and diversifying into plant-based ones, certainly benefits the planet. humans can eat, it is wasteful. And with a growing world population, we cannot afford to be wasteful." In a landmark study published in the journal Science last year, researchers estimated that if humans stuck to only a vegan diet, it would cut greenhouse gas emissions from food in half and reduce water use by 19 per cent. This pro-plant message has been promoted by a number of other celebrities, not the least of whom is Beyoncé. Last year, the singer shared on Instagram that she had followed a strict vegan diet to prepare for her headlining gig at the Coachella Music Festival. She and husband Jay-Z have set up a website called The Greenprint Project, which promotes sustainable eating. 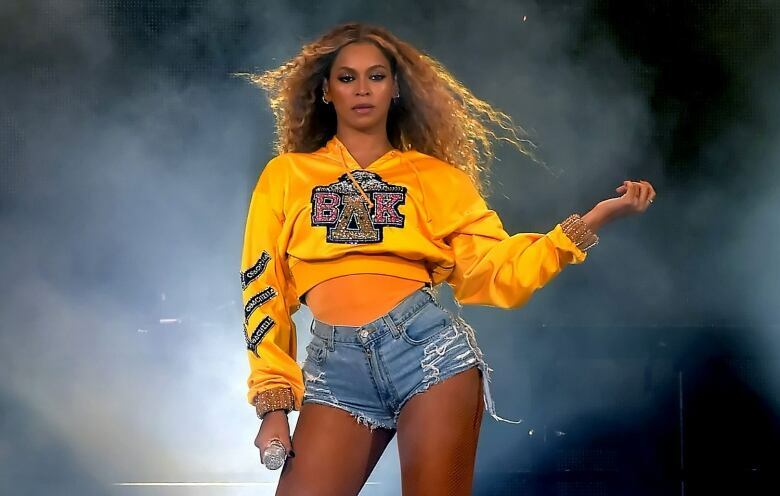 Last week, Beyoncé announced to her 120 million-plus Instagram followers that by clicking on the site, they could win lifetime tickets to her and Jay-Z's concerts. David Jenkins, a professor of nutritional science at the University of Toronto, said most consumers only dimly understand the connection between meat production and climate change. That's why consciousness-raising efforts like The Greenprint Project or Million Dollar Vegan, while somewhat fanciful, can have a "massive" influence in shaping popular attitudes about food, he said. A celebrity endorsement "gets people thinking and that has to be the beginning." Would you change your diet based on a celebrity's endorsement? Let us know. When someone suggests Canada should step up efforts to fight climate change, the attitude of many skeptics is: Why should Canadians be asked to do more, given that China is the world's biggest polluter? Yes, China is the top emitter of greenhouse gases. According to the World Resources Institute, it accounts for 27 per cent of global carbon emissions. Canada, by comparison, accounts for just 1.7. But let's examine that more closely. China has more than one billion citizens — approximately 18 per cent of all the people on Earth. Canada barely exceeds 36 million, or 0.5 per cent. Given its massive population, you would certainly expect China to emit a comparative volume of greenhouse gases. We may not produce as many emissions collectively as China, but individually, we're worse. Last year, the organization Climate Transparency reported that each Canadian produces, on average, 22 tonnes of carbon emissions per year, almost three times the average in the G20. China's per capita emissions? 8.8 tonnes. Canada's high figures are due largely to the oilsands and the transportation sector. The fact is, every tonne of CO2 that goes into the atmosphere is adding to a global problem. But the story of China is both complicated and hopeful. China's emissions reflect not only its massive population but also its efforts to become an industrial power. In catching up with the developed world — as well as producing so many of the consumer goods we take for granted — China has burned a lot of coal (which it has in abundance) as well as oil and gas. But the country also recognizes the effect this has had on air quality. China has not only slowed the construction of coal plants, but it has invested heavily in green technologies through an aggressive program of subsidies and incentives. Given the authoritarian nature of its government, it can make things happen quickly. As energy-sector journalist Gregor Macdonald pointed out in this newsletter a couple of issues back, "China has a historical record of being able to maximize and supersize and accelerate changes in its economy and its infrastructure based on policy." And it has brought results. 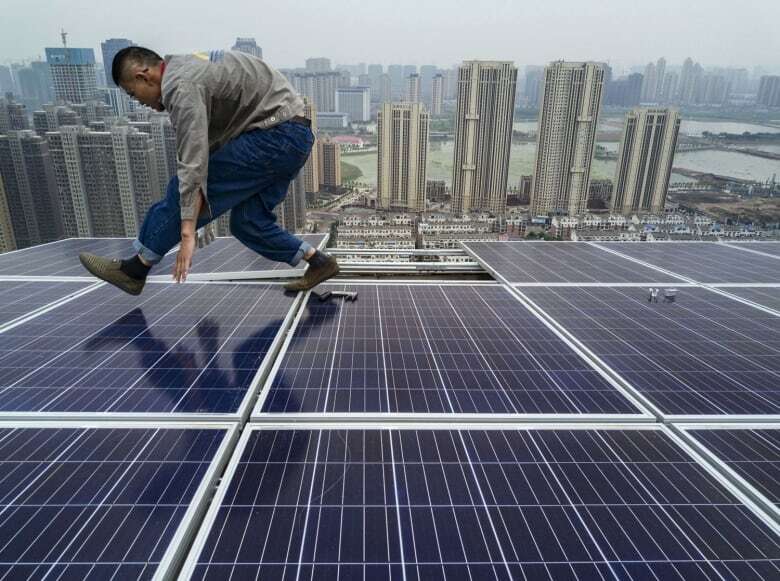 At 130 gigawatts of power, China now has more solar energy capacity than any other country in the world. It also produces the most wind energy, and the Global Wind Energy Council described China as the "driver of global market growth for most of the last decade." Then there's the business of electric vehicles. Chinese consumers bought more than one million EVs in 2018, while the megacity of Shenzhen now has a fleet of 16,000 fully electric buses. China is the world's biggest auto market, and by setting strict minimums on the number of electric or hybrid vehicles sold there, it is forcing domestic and foreign automakers to accelerate the process for building EVs. To quote the headline of a story in Bloomberg Businessweek, "China is leading the world to an electric car future." It is absolutely true that China is numero uno in carbon emissions. But it's also showing leadership in finding ways to reduce them — and the knock-on effect of that could be greater emissions reductions around the world. Cities around the world are becoming increasingly bike-friendly, which is leading to an increase in programs that allow you to rent a two-wheeler for short periods. 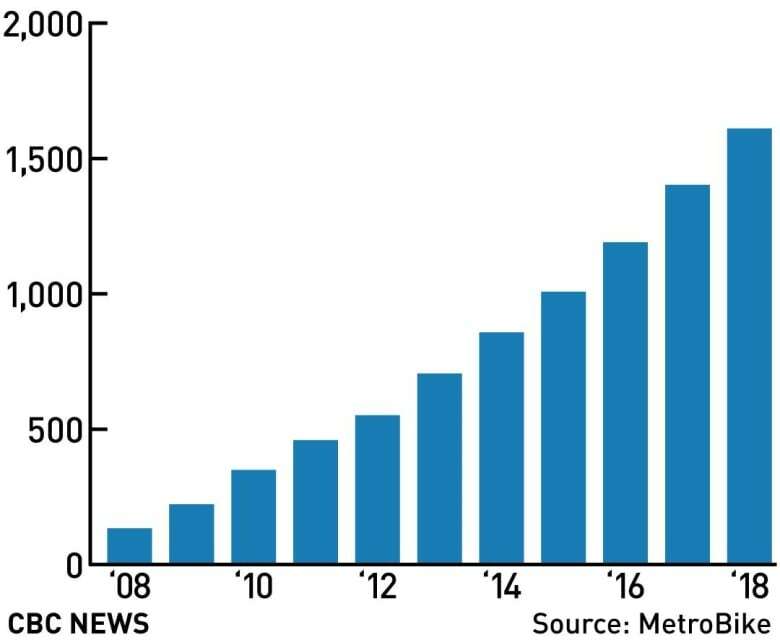 The U.S. consultancy MetroBike has been tracking this growth industry, and reports that the number of bike sharing programs worldwide in 2018 exceeded 1,500. Are there topics you'd like to see covered? The colonization of the Americas, which involved the killing of many Indigenous people, actually led to a period of global cooling. That's the chilling conclusion of a new study in a journal called Quaternary Science Reviews. Almost as fascinating as the finding is how they came to it: By examining air bubbles that have been trapped in ice cores in Antarctica for hundreds of years. In the good news department, monarch butterflies are making a comeback. After years of dropping numbers, the population at Mexican wintering grounds is up 144 per cent, or the highest it's been in more than a decade. Ride-hailing service Lyft is trying to appeal to eco-conscious customers by allowing them to request electric cars. Called Green Mode, the program is being rolled out in Seattle before it becomes available in California, and, quite likely, beyond. Carbon offsets: Yay or nay? Some of you have emailed us wanting to know more about carbon offsets. 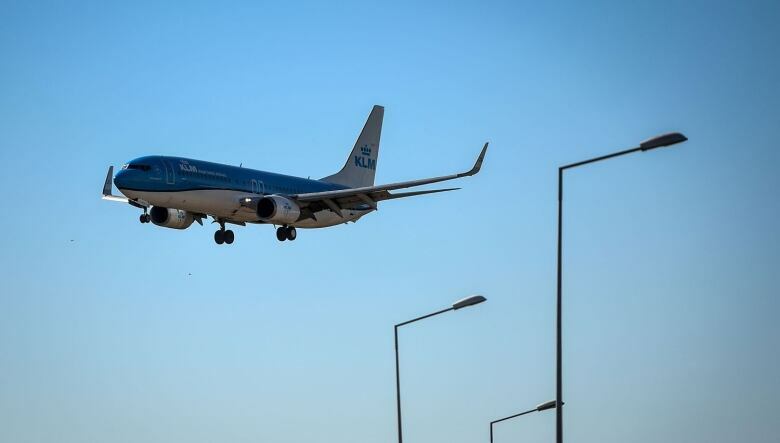 In theory, they're a tool to "cancel out" the carbon emissions of certain activities — air travel, for example — by "buying" or funding emission reductions elsewhere, such as renewable energy projects that decrease fossil fuel use. You might have been given the option to buy carbon offsets for a flight when you purchased your airline ticket on the web, or to offset shipping for an item you bought online. Offsets sold directly to consumers are considered the "voluntary" market and aren't regulated, unlike the "mandatory market" offsets traded under the Kyoto Protocol and Paris Agreement. That makes it harder to have confidence that your money is reducing emissions for the amount advertised. In fact, some carbon offset projects a decade ago were revealed to be scams. Most experts contacted by CBC News agreed that things have improved since then. We posted a more detailed article on this topic on the website on Thursday, but here are some tips to make the best use of offsets to fight climate change. Use offsets as a last resort, when there are no lower-emission alternatives. Even offset vendors consistently recommend this. Lifestyle choices, such as switching from a gasoline-powered car to an electric one, are more reliable and effective ways to minimize your emissions. Only use offsets for things like airline flights that you can't avoid. Look for certifications to recognized standards, such as the Verified Carbon Standard and the Gold Standard endorsed by many environmental NGOs, such as Greenpeace and the David Suzuki Foundation. Good standards will try to ensure the projects lead to emissions reductions that wouldn't have happened otherwise, and that they're independently verified by a third party. Think about the type of project.Some experts recommend choosing projects that help get the world off fossil fuels, as opposed to projects such as tree planting. Some certifications, such as the Gold Standard, require projects to have health or social benefits along with the environmental benefits. Think about the location.Overseas projects may be cheaper and more transformative. But Canadian projects support the local economy and are easier to visit, monitor and verify. Check if the project is registered with a public registry. That helps ensure offsets aren't resold or double-counted. Ask about insurance.What happens if the project doesn't generate as many offsets as expected because of damage or other factors? Offset vendors should have a plan to make sure you get what you paid for.